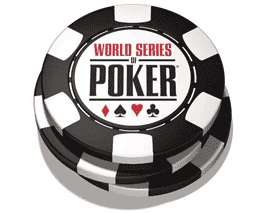 Pending the November Nine race, the World Series of Poker (WSOP) frachise invites all poker enthusiasts to participate in the 2014-2015 season-ending tournament, the WSOP National Championship. It kicked off on July 23 at Harrah's Cherokee Casino Resort in North Carolina (USA), and is currently in full swing with a series of play-in events. The icing on the cake would be the $ 10,000 buy-in Main Event to be held from Thursday, July 30. 96 players have already claimed their passes to the poker tournament. Some received their tickets thanks to their 1st-place finishes in the Circuit Main Events while the others successfully gathered enough points by final-tabling a number of the tour events. Those who notched WSOP bracelets in the past two years are also invited to part take in the event. 14-time WSOP bracelet winner, Phil Hellmuth, is among the big names expected to be in attendance. Every key moment during the WSOP National Championship Main Event will be TV covered by a reknown media company. The final day will be played on July 31. Recall that last year, the tournament took place in Atlantic City. It attracted 126 entrants, generating a prize pool of $ 1,260,000. It was Germanys poker pro Dominik Nitsche who came up victorious. The first edition of the championship was held in Las Vegas in 2011. Apart from Nitsche, the other three WSOP National Championship title holders, including Sam Barnhart, Ryan Eriquezzo and Jonathan Hilton are all Americans.